The promise of cheap, low-carbon power – with 31 new reactors in the US – was based on rhetoric and obedience. Anyone who doubts that should read the new status report on the industry. Rhetorical excess from opponents of nuclear power contributes to the fog, but proponents have by far the heavier artillery. In the US, during the rise and fall of the bubble formerly known as “the nuclear renaissance”, many of the proponents’ tools have been on full display. It is all in ruins now. The 31 proposed reactors are down to four actually being built and a few others lingering on in search of a licence, which is good for 20 years. Those four are hopelessly uneconomic but proceed because their state legislatures have committed to finish them as long as a dollar remains to be taken from any electric customer’s pocket. Operating reactors are being closed as uneconomic for the first time in 15 years. Still the band plays on. President Obama recently touted new reactors as part of his “all of the above” policy on energy. But is “all of the above” really a policy? Do we build palaces to avert housing shortages? Don’t we instead prioritise, based on the best information available? US secretaries of energy enthuse that the four new reactors will be completed “on time and on budget”, never mind that they are already behind and over and that “on budget” will mean “well above the cost of creating equivalent low carbon energy more sensibly”. A new movie, Pandora’s Promise (no film-maker familiar with nuclear history would include “promise” in a title intended to be pronuclear), recently screened at Sundance. Featuring the same old converts and straw men, it opened in cinemas a few weeks ago to tiny audiences and generally unenthusiastic reviews, especially from reviewers knowledgeable about nuclear power. 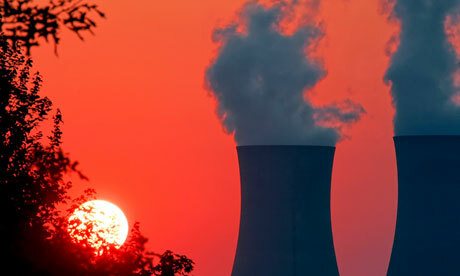 Is new nuclear power cheaper than alternative ways of meeting energy needs? Of course not. What about low-carbon “baseload” alternatives? See page 71 of the report. Can a country grow its economy by building nuclear reactors? What don’t you understand about the employment consequences of imposing rate shock on industrial and commercial customers? Are the consequences of the Fukushima meltdowns really being overstated by antinuclear activists? Maybe, but see the chapter on the status of Fukushima. In short, the nuclear renaissance – whatever it may be called throughout the world – has always consisted entirely of the number of reactors whose excess costs governments were prepared to make mandatory for either customers or taxpayers. Investor capital cannot be conscripted. Investors of the sort that nuclear power must attract study risks carefully. They know the information in this report, and so should everyone else with responsibility for energy decisions that allocate nuclear risk. Tagged loan guarantee, Peter Bradford, promise, subsidy. Bookmark the permalink.